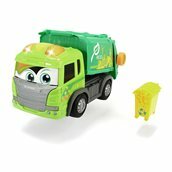 Happy Scania Garbage Truck:makes order and cleanliness fun! How does a bin lorry work? Who’s really responsible for keeping the town clean? It’s fascinating questions like this that even the youngest children come out with, and the Happy Scania Garbage Truck from Dickie Toys is a fun way to give them their first answers. 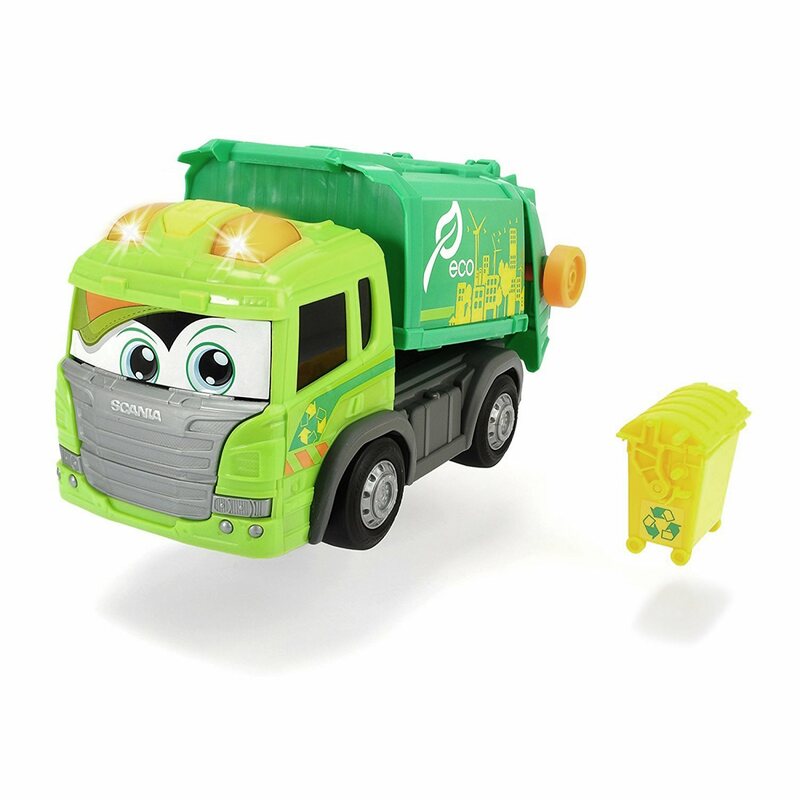 The jolly bin lorry is a scaled-down motorised version of a real Scania truck and can move forwards and backwards. It can also freewheel. The loading platform is raised mechanically, as is the dustbin that also comes with the set. And of course, because a big truck like this has to make its presence felt, the vehicle is equipped with light and sound. It’s also perfect for very little ones, because the Happy Scania Garbage Truck has rounded corners, as well as being colourfast and saliva-resistant. All of these features make it a lasting companion for children aged one and over who will keep coming back to play with it again and again.